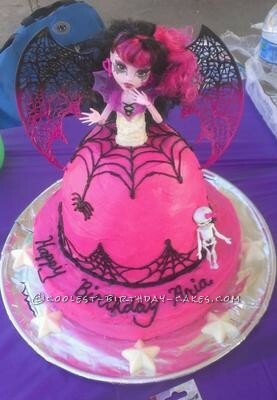 I made this Monster High Draculaura cake for my niece Aria’s 7th birthday. I used two strawberry cake mixes. A pampered chef mixing bowl was used for the dress and a 10 round cake pan for the bottom. I made a buttercream frosting. She loved it!